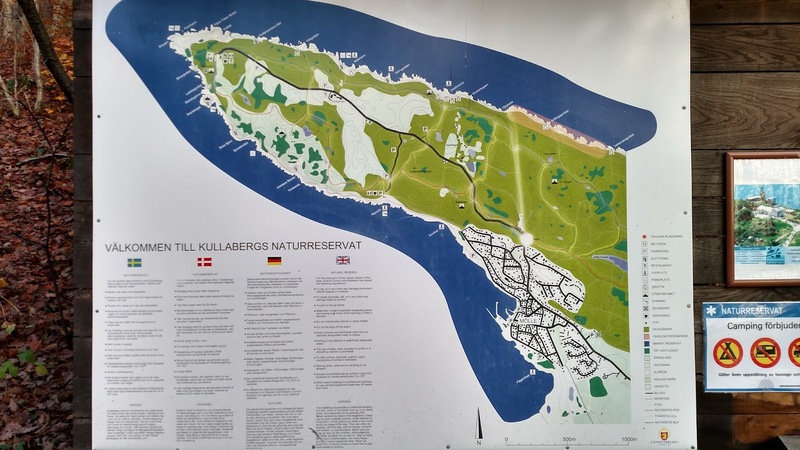 On our way from Gothemberg Sweden to Copenhagen Denmark, we made a delightful stop to the Kullaberg Nature Reserve, in the Municipality of Haganas near the town of Molle. It had been raining during the drive and we were anxious to get outside. Just as we got off the E6 to look at the windmill pictured below, the rain ended and the sun started to come out. 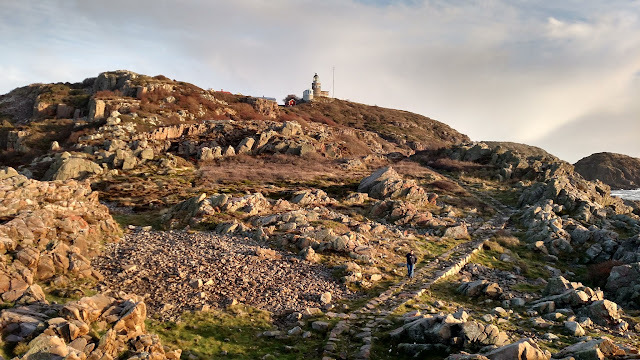 We made a spur of the moment decision to head out on the peninsula to Kullen Point and the Kullen Point Lighthouse. This lighthouse is the most powerful in Scandinavia and it was built in 1900. Prior to reaching the point, there is a whole network of hiking trails. Nick and Lindsay weathering rain and a fierce wind squall. Another brief storm coming in. Kullen point is a rocky picturesque point well worth a visit. Just as we started out to the point, an impressive wind/rain storm passed through that lasted less than 5 minutes, then the sun came out again. In addition to the powerful Kullen light on the cliff, there is a small lighthouse on the extremity of the point. It provided a great backdrop for the pictures and provided a great buffer location to escape the wind. We rambled and scrambled until we had had explored a good amount of the point, when we jumped back in the car to finish our journey to Copenhagen. This was a picture of a sign showing a nice aerial view of the peninsula.